Our week nine 2016 Thursday Night Football free pick features the Atlanta Falcons playing Tampa Bay. 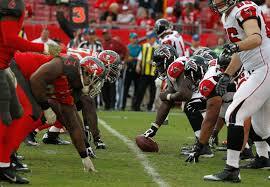 The Falcons are 5-3 and in first place in the NFC South, while the Buccaneers 3-4 are and in second. A win by the Bucs on Thursday night would be big in terms of their chances of finishing first in the division. If the Falcons win, they’ll have created a big separation between them and Tampa Bay. The Buccaneers started the 2016 NFL season by beating the Falcons 31- 24. After that, they lost three straight to the Cardinals 40-7, Rams 37-32 and Broncos 27-7. They have gone 2-1 over their last three games, beating the Panthers 17-14 and 49ers 37-17 and, in their most recent game, losing to the Raiders 30-24. After losing their first game of the season, the Falcons ran off four wins, beating the Raiders (35-28), Saints (45-32), Packers (48-33) and Broncos (23-16). 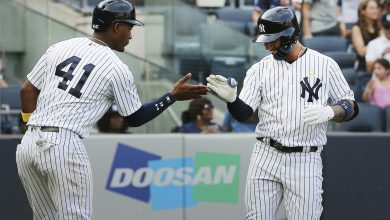 They come into this game having suffered two close losses and enjoying a very close win. The first loss was to the Seahawks 26-24 and their last loss was to the Chargers 33-30. Their last game, which was against the Packers, resulted in a 33-32 win. The Falcons are averaging 32.8 PPG. QB Matt Ryan (69.2 COMP%, 19 TDs, 4 INTs, 20 Sacks) is having a MVP season. Ryan is playing exceptionally well, and he has a group of quality receivers. Top pass catchers include Julio Jones (43 REC, 859 YDs, 20.0 AVG, 4 TDs,) and Mohamed Sanu (32 REC, 342 YDs, 10.7 AVG, 3 TDs). RB Tevin Coleman will be missing from the field on Thursday night, which mean Devonta Freeman (116 ATT, 543 YDs, 4.7 AVG, 3 TDs). This is a defense that has a tough time stopping opponents from scoring. The Bucs are allowing 27.0. For Tampa’s defense, look for big plays from Kwon Alexander (66 TCKL, 2 Sacks, 5 TFL 3 PD, 1 INT, 1 TD), Bradley McDougald (41 TCKL, 5 PD, 1 INT), and Lavonte David (40 TCKL, 1 Sack, 6 TFL, 2 PD, 2 FF). The most impressive stat for this team is the fact that they have six forced fumbles and they have recovered all six. The Tampa Bay offense, which is averaging 21.7 PPG, has underperformed. QB Jameis Winston (58.7 COMP%, 14 TDs, 9 INTs, 16 INTs) and his inconsistency has been part of the problem. Along with a fairly weak passing game, the Bucs put an inadequate ground attack on the field. 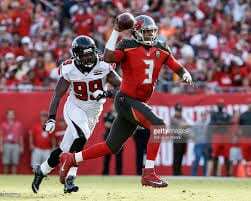 When Winston is on target his primary targets are WR Mike Evans (44 REC, 595 YDs, 13.5 AVG, 6 TDs) and TE Cameron Brate (23 REC, 248 YDs, 10.8 AVG, 3 TDs). For Tampa Bay to have a chance, Winston will need to be solid in the pocket and connect with these two guys. The Atlanta defense has been inconsistent, but it does have some standouts including LBs Vic Beasley (7.5 Sacks, 2 TFL, 1 PD, 3 FF) and Deion Jones (47 TCKL, 3 TFL, 4 PD, 2 INTs, 1 TD). 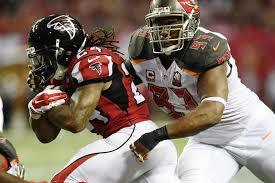 The Falcons will be without Dwight Freeney who has three sacks. This is a good defense, but they are susceptible to the big play. Atlanta comes into this game with 18 sacks, 21 TFL, 33 PD, 6 INTs, and 8 FF. Those are very respectable stats. Still, they are allowing an average of 28.9 PPG and over 300 yards passing. 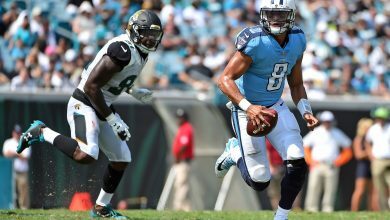 Our week nine 2016 Thursday Night Football free pick features two teams with fairly inconsistent defenses. For Atlanta, Ryan can be a major difference-maker. However, the Falcon secondary is susceptible to the big play. The Bucs have had a tough time against clubs like Atlanta. 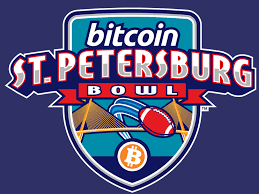 We think they will win and cover the spread, which has them a -3.5.